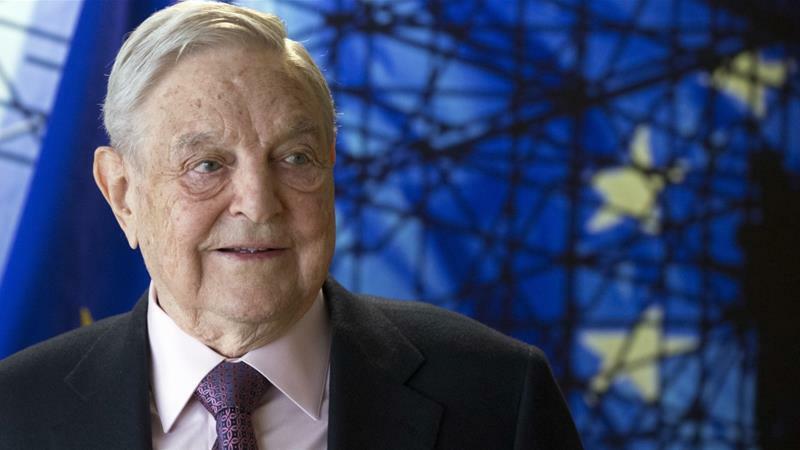 ISTANBUL (Reuters) – George Soros’s Open Society Foundation said on Monday it would cease operations in Turkey, days after President Tayyip Erdogan accused the billionaire philanthropist of trying to divide and destroy nations. The organization said it was no longer possible to work in Turkey after it became the target of “baseless claims” in the media and a renewed investigation by Turkish authorities into mass protests against Erdogan’s government five years ago. It said the Turkish Interior Ministry was renewing attempts to prove that the Soros foundation was behind the 2013 Gezi Park protests, one of the biggest political challenges to Erdogan’s 15-year rule. The foundation denied any link to the protests. “The person (Kavala) who financed terrorists during the Gezi incidents is already in prison,” Erdogan told a meeting of local administrators on Wednesday. One of the 13 people detained on Nov. 16 was Hakin Altinay, who helped establish the Open Society Foundation in Turkey. Others were staff members of Kavala’s Anadolu Kultur center, which campaigns for human rights and cultural diversity. Kavala, in detention for more than a year, said on Monday in a statement posted on his website that he was still waiting for an indictment to be prepared so that he could prove that the claims he had helped to direct and finance the Gezi protests and wanted to overthrow the government were “unfounded”. The pro-government Sabah newspaper, citing reports from financial crime investigators, said on Monday the Open Society Foundation had made financial transfers to Kavala’s organization to support the spread of the Gezi protests nationwide. “However, with the new investigations that have been opened, it is seen that there is an effort to link the Open Society Foundation to the Gezi incidents in 2013. These efforts are not new and they are outside reality,” it said. The foundation said it would apply for the legal liquidation and winding up of the company’s operations as soon as possible. Soros, a U.S.-based financier and philanthropist, and his Open Society Foundation have also come under fire in Hungary. Prime Minister Viktor Orban accuses Soros and the liberal causes he backs of trying to undermine Europe’s Christian culture by promoting mass migration, a charge the financier denies.